Aimee & Robert are Fun In the Sun Weddings’ newest newlyweds! The bride had always envisioned getting married on the beach beside a beautiful turquoise sea. 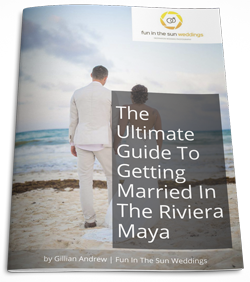 Their destination wedding in Riviera Maya, Mexico was a dream come true. Aimee and Robert at the Brown County Fair in Green Bay, so when the time came to get engaged, Robert decided that it would be the perfect place to propose and that Aimee’s birthday was the perfect occasion. The problem was that Aimee’s birthday is in January, and so in the middle of an ice storm he took a detour to the fairgrounds after dinner and made her get out of the car in the freezing cold. Struggling not to slip on the ice, they met in front of the car. There Robert told her that he knew from their first date she was the one, and he proposed! 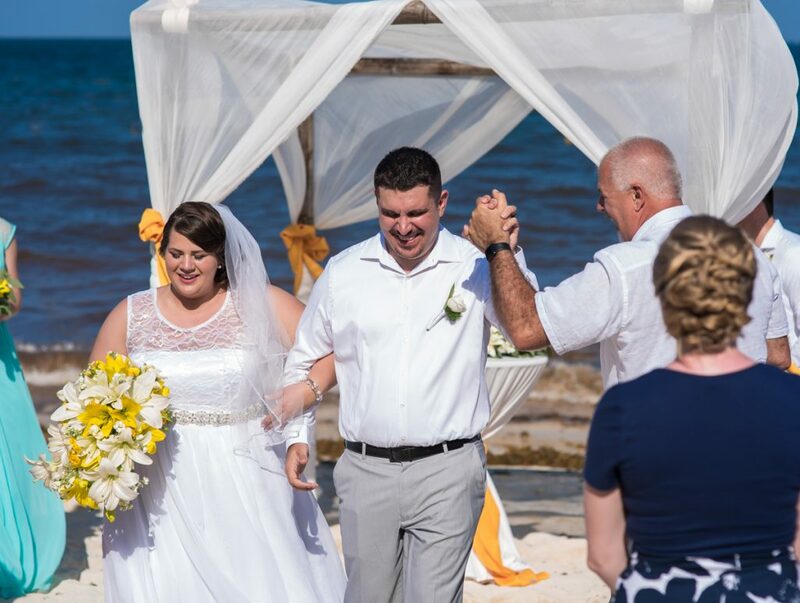 Aimee always wanted to get married on the beach so she contacted Lori at Fox Travel, who helped her plan a destination wedding in the Riviera Maya. 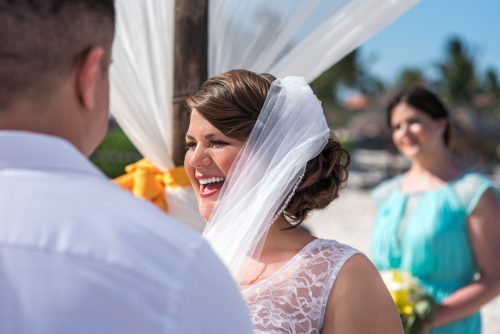 She didn’t know what to expect but tells us that her wedding at Ocean Coral and Turquesa was better than she could have ever imagined. 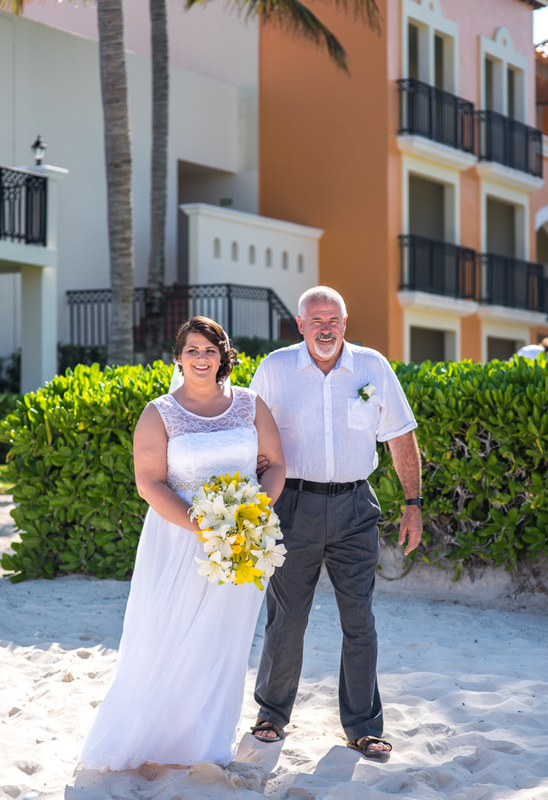 She wore a beach wedding dress made with love by her mom, and inside the bodice was lace from her grandmother’s wedding dress so that she would have her close to her heart when she said ‘I Do.” She was a glowing bride in hair and makeup by Beso Brides. Go with the flow and enjoy every moment! Aimee and Robert it has been such a pleasure sharing in this special moment in your lives. We wish you every happiness in this next chapter together. Congratulations! If you are looking for the best Playa del Carmen wedding photographers, then contact us today. 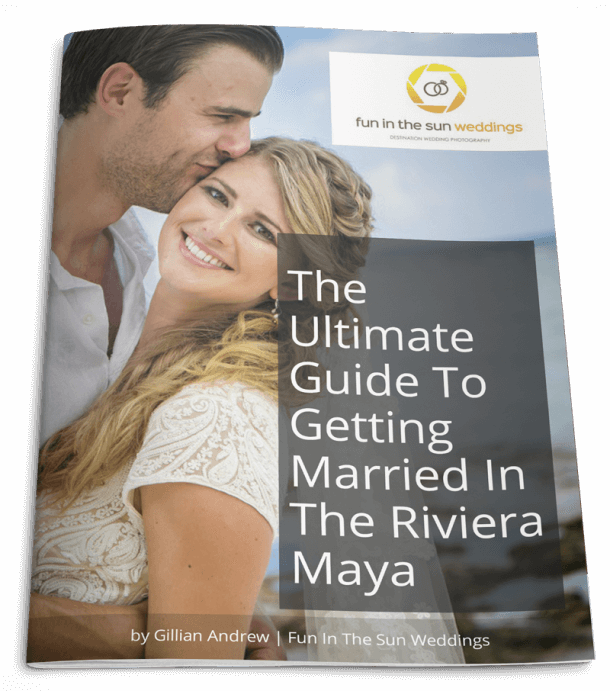 We are Fun In the Sun Weddings, the best wedding photographers in Riviera Maya, Mexico. Want more information on Ocean Coral & Turquesa? Read unbiased reviews on Tripadvisor here. These guys are so amazing! From the moment Marc walked into the room he made me feel very comfortable and kept me laughing the entire time! We only had four hours with him but it felt like I had known him forever! I would highly recommend them if you want to have fun and laugh but yet still get beautiful pictures!